In a non stick pan heat a about 2 tablespoons olive oil. 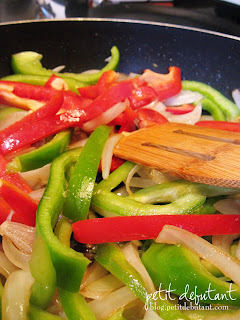 Saute onions for about 3 minutes, add sliced bell peppers and garlic, continue to saute another 2-3 minutes add shrimp and splash of Worcestershire sauce. Right before the shrimp is cooked through add the tomatoes. Saute until the shrimp is cooked through. Season with salt and pepper to taste. 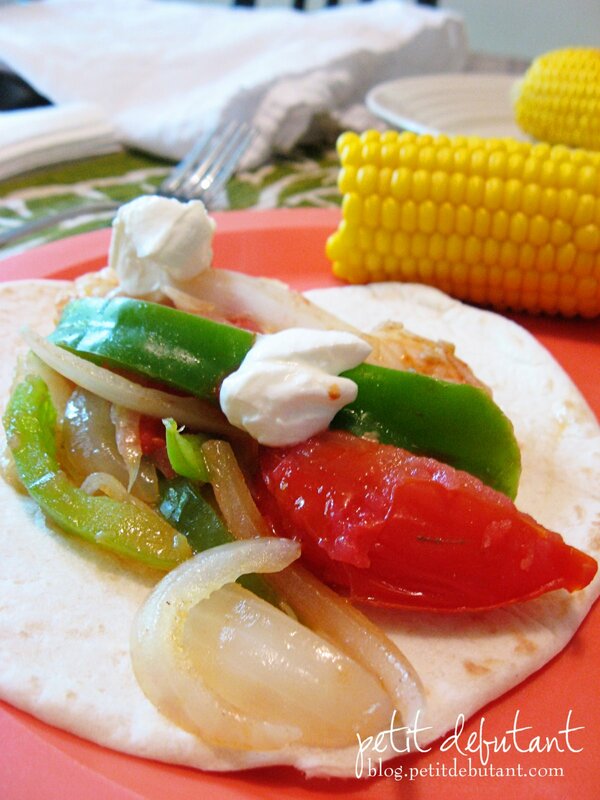 Serve on warmed flour tortillas and top with a dollop of sour cream and your favorite hot sauce or salsa. Enjoy! Now why didn't you invite me over? Those look heavenly. I adore shrimp fajitas!